'Tyrannosaurus Pecs', as we dubbed it, was a triumphant stunt by Now TV used to promote the 25th anniversary of Jurassic Park. 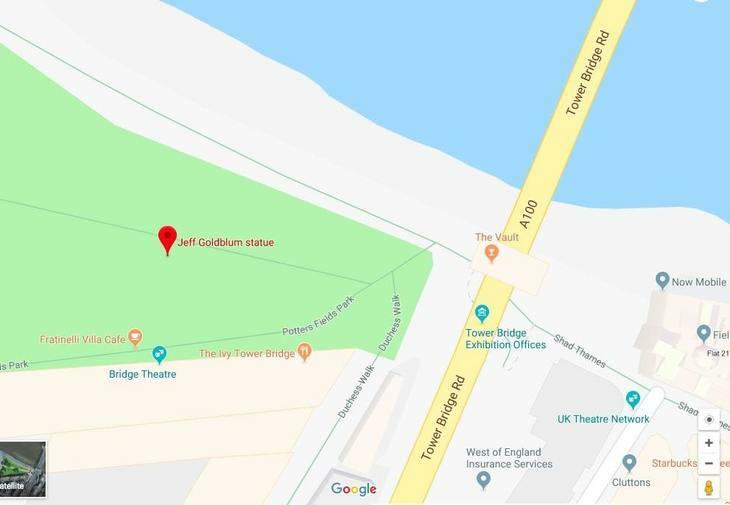 The sexed-up mannequin appeared last July in Potters Field Park — a well-worn patch of grass that's been occupied by everything from a Stonehenge made of cars, to a Bluth's banana stand. The internet went berserk, as fans flocked to get selfies with their hirsute-torsoed hero. But the behemoth is long gone (presumably melted down to make a 25ft Forrest Gump). That is, unless you seek it on Google Maps. 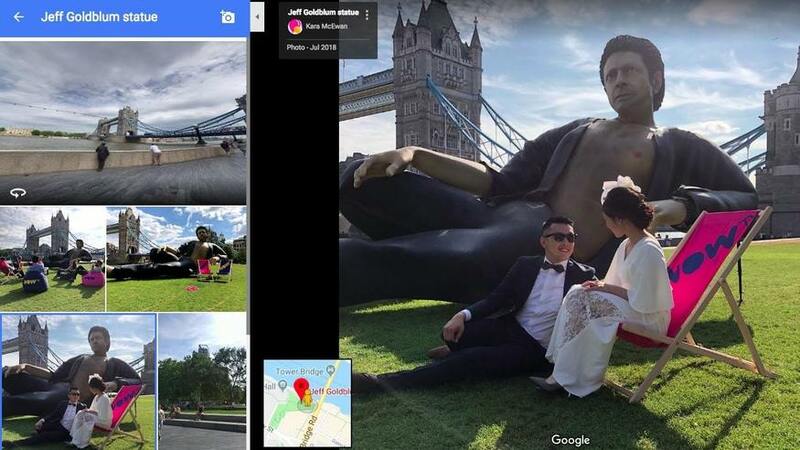 Here, Goldblum has become a permanent fixture: a London landmark, dwarfing Tower Bridge into a mere photobomb behind it. A multi-story deity swarmed by adoring disciples and newly-wed Asian couples, who sit at it its feet, basking in its slick gloriousness. Goldblum sightings are an occasional phenomenon in the city. In September 2018, the star treated fans to an impromptu set of his jazz numbers on one of the pianos at St Pancras station. His shirt, alas, remained buttoned throughout. Do let us know if you see Jeff Goldblum walking among us.